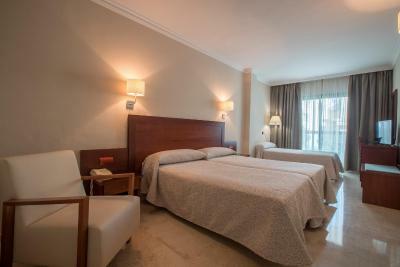 Lock in a great price for Hotel Torremar – rated 8.1 by recent guests! terras roof with yacuzzi, friendly staff, breakfast oke. The hotel is conveniently located in the center of the small town. There are a lot of restaurant options, bars, supermarkets and shops all around the hotel. If you arrive by car you can park in the hotels park garage (a bit narrow). Be aware that there is no parking space on the streets as you are technically only allowed to drive on the street to the hotel for check in or check out. The hotel is not directly on the beach but it's just a 2 min. walk and you can rent beach chairs for a few euros a day. 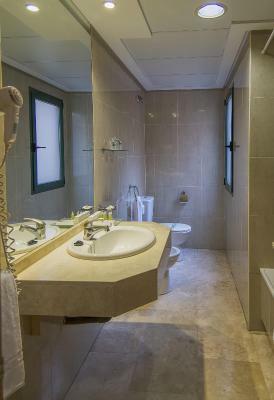 Very comfortable spacious room with comfortable beds and good sized bathroom. All the stuff was super friendly. Perfect location 2nd line to the beach/promenade. Large, comfortable rooms - spotlessly clean and comfortable beds. Lovely roof terrace for sunbathing with lovely views to the mountains and down to the sea. The staff have been amazing. Fabulous location, 1 minute away from the beach and in the heart of the city. Good central location with easy access. Staff very friendly and helpful - worth considering for a weekend break. Good value for money in low season compared with other hotels in the town. Location, room ok, breakfast included in the price. I booked 10 rooms for 20 ex military coming from England to play golf. I did not hear one complaint from them for their week long stay. Many thanks for taking care of them ..
Nice room, comfortable bed. Great location close to beach and restaurants. Friendly staff. Very clean. Food was good. 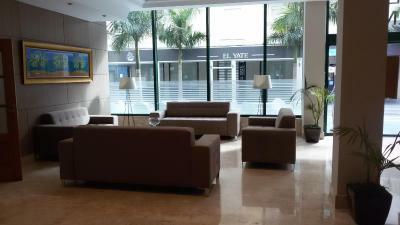 Great location with lots of bars restaurants cafes very near. Fantastic value for money with very good buffet dinner for only 12 euros including beer. The lady at the reception was was very pleasant and as the room was ready allowed us to check in much earlier than normal. We enjoyed the stay. 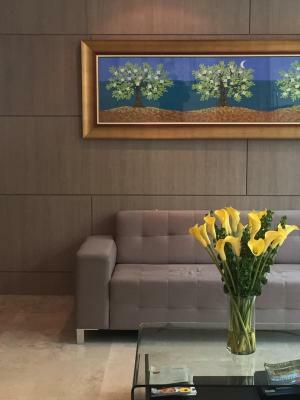 Hotel Torremar This rating is a reflection of how the property compares to the industry standard when it comes to price, facilities and services available. It's based on a self-evaluation by the property. Use this rating to help choose your stay! 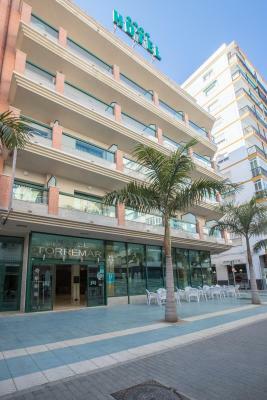 One of our top picks in Torre del Mar.Hotel Torremar is centrally located, just 150 feet from Torre del Mar Beach. It offers a sun terrace with hot tubs, loungers and spectacular sea views. 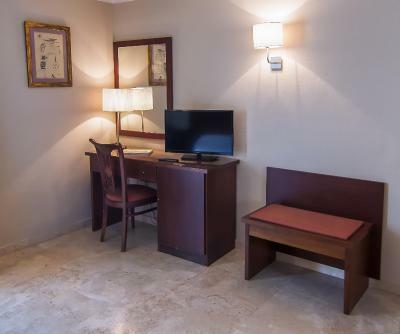 Each bright, air-conditioned room at the Torremar has a balcony, TV, and free WiFi. The private bathrooms come with a hairdryer and toiletries. 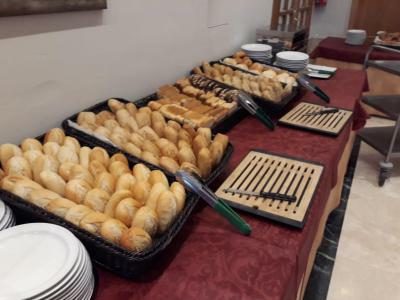 The hotel’s buffet restaurant offers regional and international cuisine, while the café serves sandwiches and salads. 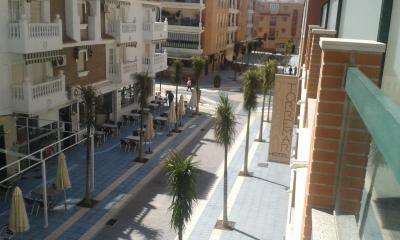 You can enjoy drinks and chill-out music on the terrace. During the summer months, the restaurant also offers a show-cooking. Soft drinks and beers are included at lunch time. 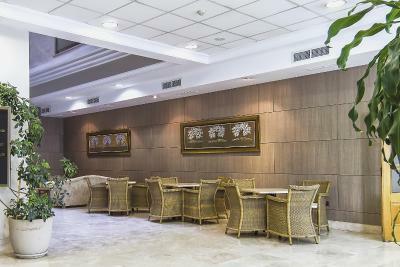 The hotel’s 24-hour reception can arrange car hire, excursions and activities in the surrounding area. Malaga is 23 mi from the property, while its airport is 31 mi away. 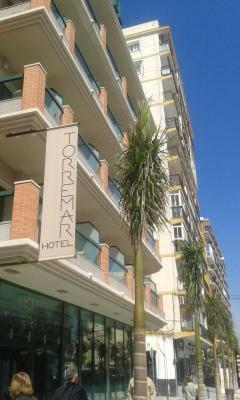 When would you like to stay at Hotel Torremar? 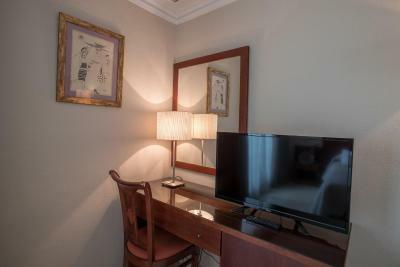 This air-conditioned room offers cable TV, a mini-bar, a safe and a private bathroom with a hairdryer. All rooms have a terrace and exterior views. Free WiFi is available. 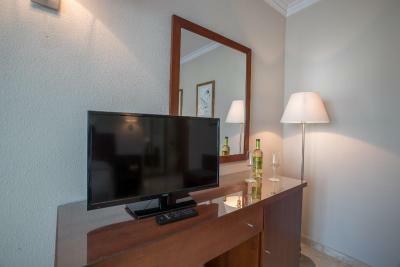 This air-conditioned room offers cable TV, a mini-bar, a safe and a private bathroom with a hairdryer. Free WiFi is available. Please note that this room has views of an interior courtyard. This quadruple room features a mini-bar and air conditioning. Free WiFi is available. This interior-facing room has air conditioning and views of an internal patio. 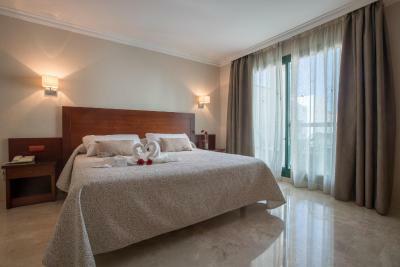 House Rules Hotel Torremar takes special requests – add in the next step! Hotel Torremar accepts these cards and reserves the right to temporarily hold an amount prior to arrival. The half-board service includes breakfast and either lunch or dinner. The restaurant is open to the public at lunchtime. 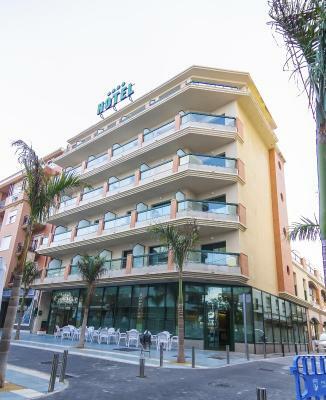 Please let Hotel Torremar know in advance how many guests are included in the booking. You can leave a note in English or Spanish in the Comments Box during the booking process. Please note that parking spaces cannot be reserved in advance. Limited selection of breakfast by comparison to other hotels we stayed in during our trip down the coast from Alicante to Málaga - However sufficient and good value for money. Noice, when the chair has been moved on a floor the whole buiding was shaking. They should state that there jacuzzi is seasonal. The bed was firm, and combined with a plastic mattress cover, was a little uncomfortable, but nothing to prevent a decent night's sleep. Nightime was cool, (Feb) so depending on the time of year, you might want to ask the staff for some additional bedding as the a/c didn't really heat the room, but did remove the chill. Staff were very professional but extremely polite and friendly. 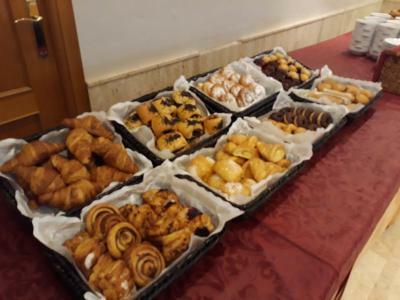 Breakfast was great, with a good selection. coffee was not good. think water needs to be hotter. breakfast plentiful but cooked was not very good I.e.eggs really hard. bacon nearly raw (Spanish style)! closeness to beach and restaurants. The hotel seems to have been stripped to the bare minimum of staff and facilities, the small piece of origami given at reception was all that was on offer on information about the hotel. No tea and coffee or even water in the room. Yes there was a fridge but empty. All meals, breakfast, lunch and dinner are buffet. No service other than collection of used plates etc. No access to a drink of tea etc out side of the strict mealtimes. Our room had minor defects which I brought to the attention of reception. Bathroom door was stiff and would not shut, toilet roll holder was loose along with the soap dish and spare holder. Badly located bathroom door stop right where you stand having had a bath. Light in the corridor was not working. Tv was ok but no English tv, ok it is Spain! Would I stay there again, no. The room could have been cleaner. The bathroom had the most dreadful smell of drains when we opened the door. We put the plugs in the basin, bidet and bath which stopped it as we were only staying one night, but this wouldn’t have been acceptable any longer.